Hanover Engineering assisted with the development of a natural gas compressor station in Tioga County. The compressor station is used to connect well spur pipelines, process the natural gas, and deliver it into a midstream system for sale into a transmission pipeline. 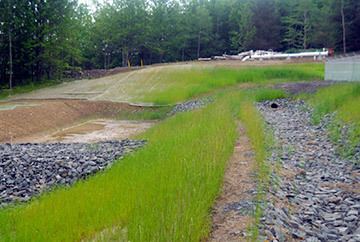 In addition to the permitting requirements of the Pennsylvania Department of Environmental Protection (PA DEP), compliance was required with the Tioga County Subdivision and Land Development regulations, which included coordination with local officials and public meetings to review and discuss the project.